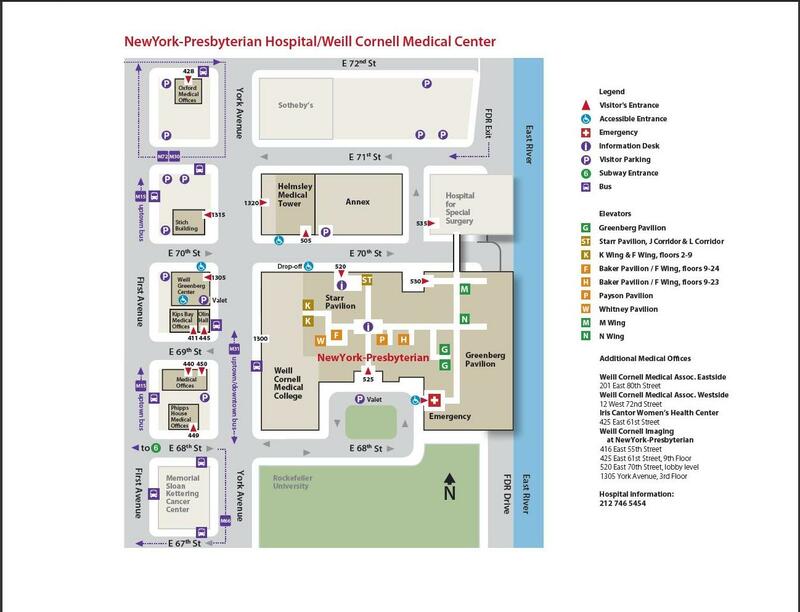 For more information about the Weill Cornell Leukemia Program, to make an appointment with one our physicians, or to learn more about our clinical trials, please call 646-962-2700. Click on the campus map on the left to enlarge and view the location of the Payson Pavillion. Click here to view the Google Map directions tool. Take the # 6 train to East 68th Street. Walk four blocks east to York Avenue, or take the M66 bus eastbound to York Avenue. Walk north to 70th Street. Take the Q train to 72nd St – 2nd Avenue. Walk two blocks east to York Avenue and two blocks south to 70th Street.